This is a black and white image of "Auntie" Crossman and the Attendant. 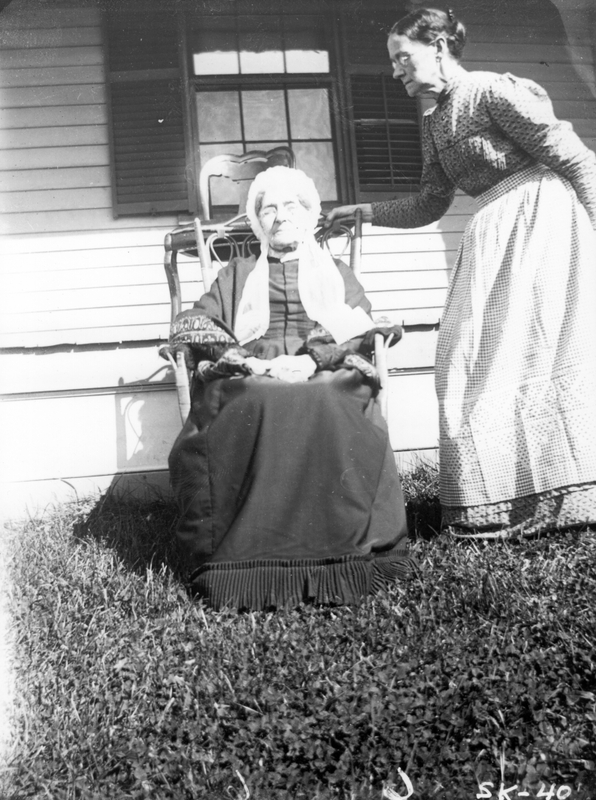 Auntie Crossman is lounging in a rocking chair in the front yard of a home. There is a window with black shutters behind her. She is wearing a long dark skirt and a white bonnet. The attendant is looking at Auntie Crossman and is holding onto the rocking chair. The house behind them has a wooden frame.